Dr. Ariel Kornblum is a New York State Licensed Psychologist (#021301), and Board Certified Behavior Analyst (#1-16-23753). She received her undergraduate degree in Psychology from The George Washington University, and completed her graduate degree at St. John’s University. Dr. Kornblum also serves as an Assistant Director at Big Apple Day Program. Dr. Kornblum provides cognitive behavioral therapy (CBT), behavioral parent management training (PMT), school/teacher consultations, executive function coaching, as well as applied behavior analysis (ABA). Areas of expertise include behavior management, school refusal, social skills challenges, as well as treatment of anxiety and depression. Dr. Kornblum additionally works closely with families to navigate behavioral challenges associated with ADHD and Autism Spectrum Disorder (ASD). Dr. Kornblum approaches treatment from a collaborative perspective, and works closely with parents and caregivers, school teams, as well as outside providers to ensure consistency and integrity. She also provides in the moment parent coaching, and home based treatment to further support behavior plans and treatment goals. Dr. Kornblum has also worked with families on developing and implementing house rules and routines in order to facilitate long term positive change and stability. 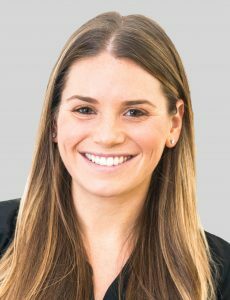 Dr. Kornblum’s training in child and adolescent psychology in addition to extensive training in applied behavior analysis helps her bring a unique perspective to treatment. She utilizes this expertise to develop individually tailored treatment plans, with a focus on high quality, evidence based intervention. What Is Executive Function Disorder (EFD)?